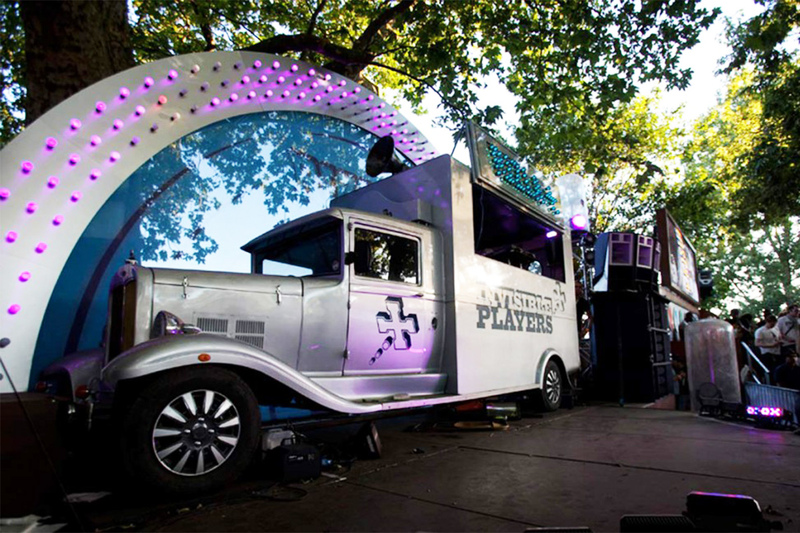 Kemp London is a regular partner of Block 9, who curate unique spaces for events, from underground carriages bursting out of walls to bespoke arenas vivid with colour. 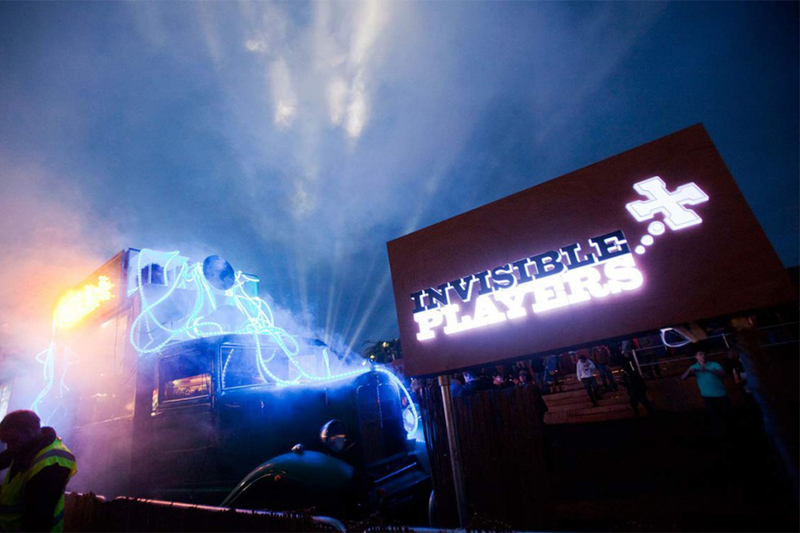 In recent years, Block 9 has worked with Rizla to help develop their popular Invisible Players tour, a travelling team of DJs who have played at UK festivals from Lovebox, London to Isle of Wight Festival and include big names like Hot Chip and Grandmaster Flash. 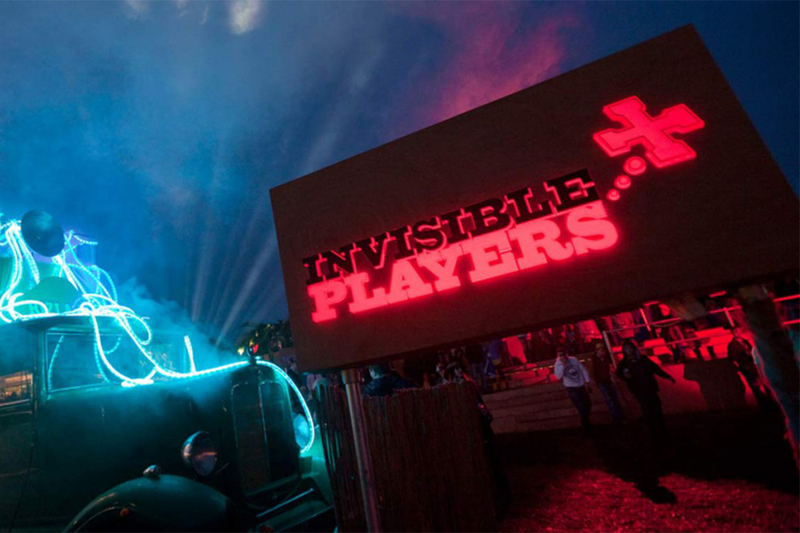 Block 9 enlisted the help of Kemp London to help create a rave style ambience and promote the Invisible Players tour with large scale illuminated neon signage. These signs guided visitors to the music area and kept the party mood alive into the small hours.